The Official Scarlets S18 Home Regular Fit Replica Jersey, including new sponsors and embroidery. UK shipping rates apply to all online orders - £3.50 plus vat added at checkout for 1 to 5 items or FREE delivery on orders over £100. FREE local pickup from store. The neck is really tight and even for an XL shirt it’s no way comparable to an XL Wales jersey that I have. My advise is to get a size bigger. 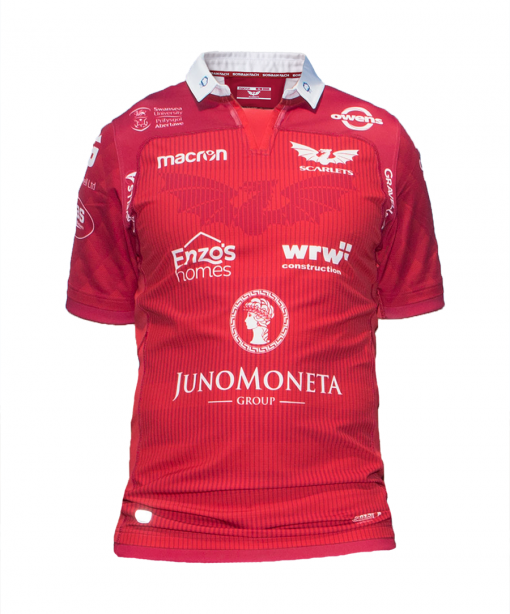 Nice shirt with quality embroidery strong material & distinctly a scarlets jersey despite the number of advertisements. Only negative is that its tighter than my normal 3XL & I would advise people to buy one size above their usual.